Scandinavia is a true delight that packs a punch when it comes to breathtaking landscapes, coastal islands, and stunning road trip routes. It’s a large region of Northern Europe, that is made up of five countries which include; Norway, Sweden, Denmark, Finland and Iceland. 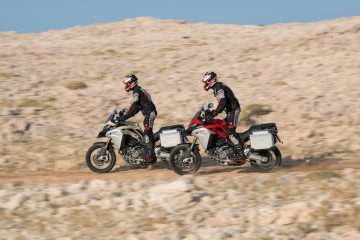 If you love to adventure in vast and rugged wilderness, along hair-raising mountain roads, and stopping to scoff your sarnies by beautiful rivers and lakes, then this biker paradise is sure to have you packing your panniers. 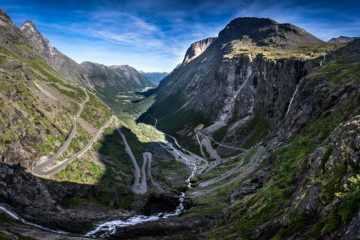 Here at ABR we’ve teamed up with Swedish motorcycle clothing brand, Jofama, to look at five epic roads to ride in Scandinavia, and damn, they’re just begging for you to go and explore them. 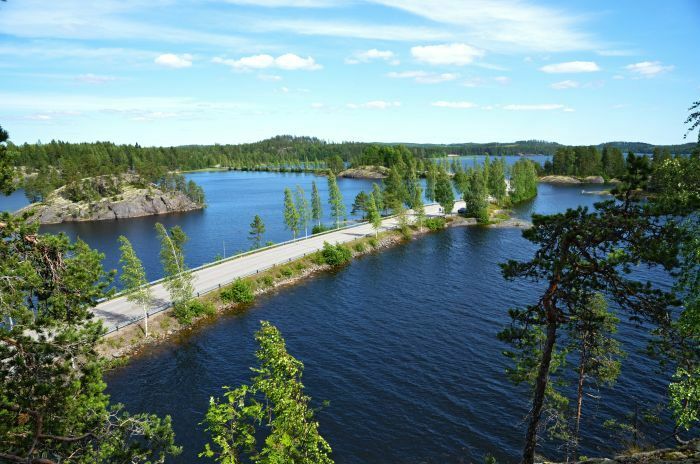 You won’t want to do this one in a hurry – this fantastic route takes you through some of the most gorgeous scenery that Finland has to offer. It twists and turns you through forests, over bridges towering above tranquil waters, and through quaint little towns and villages. One of the best parts of this route is the section where the beautifully curvaceous road meanders lazily along the deep blue waters of Puumalan lake, there are plenty of pull-in spots along the way for you to stop off, take photos and soak in the epic scenery. 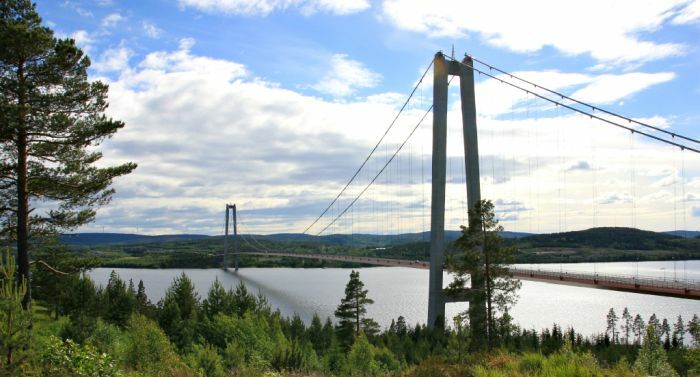 This stunning route stretches from Härnösand to Örnsköldsvik in north-eastern Sweden. It offers towering cliffs, gorgeous views of the waters and takes you over the High Coast Bridge, a famous suspension bridge over the Ångerman River. If you’ve got the time and you fancy stopping to stretch your legs, there are some beautiful hiking trails to be explored in the area too. The route is approximately 65 miles and will take you around an hour and a half to ride, without stopping. When it comes to ridiculously good lookin’ scenery, this one ticks all of the boxes. In fact, this route is so beautiful you’ll most likely find it very difficult to keep your eyes on the road (but please do!). 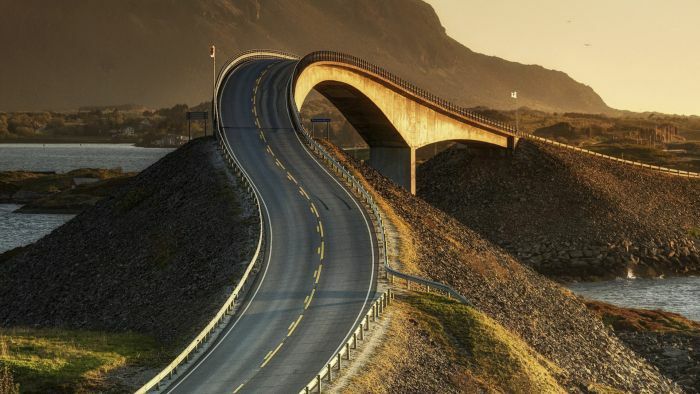 With eight breathtaking bridges, a generous amount of exciting dips and twists, and some of Norway’s most spectacular views on offer, this 5-mile route is just begging to be explored by two-wheels. 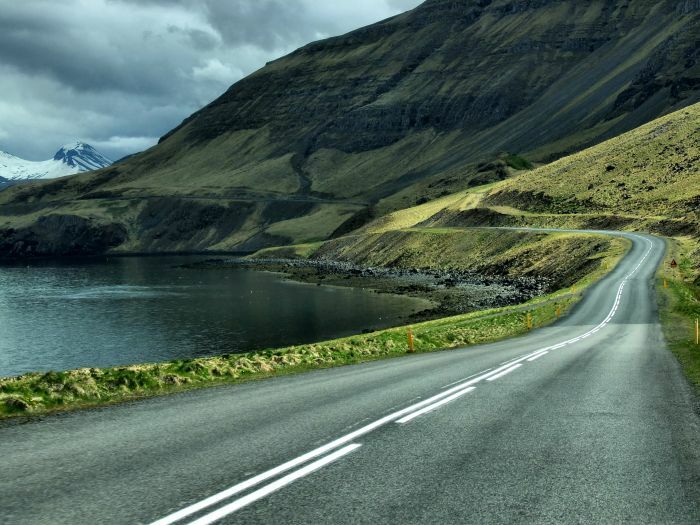 It’s advisable to check the weather before you head off on this one and keep your eye out for any potential storm signs, as when the weather turns, this road can be very dangerous – sometimes with enormous waves crashing over the tarmac. 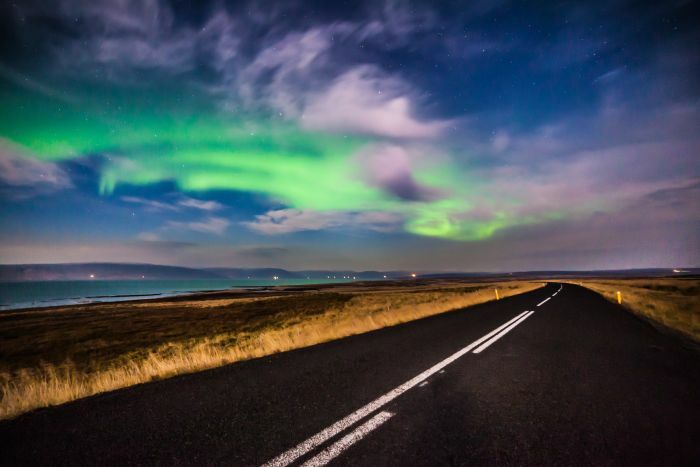 Iceland is bloomin’ cold during the winter, so you’ll want to make sure you do this one in the summer (unless you’re feeling brave), when the country turns into a pleasantly green haven. 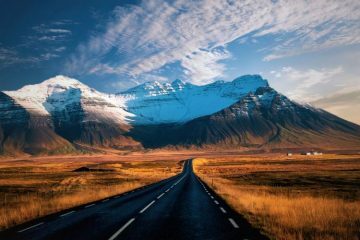 Route One is the main road that circumnavigates Iceland and it offers exceptional panoramic views, fascinating things to see, and beautiful places to visit along the way. From beaches scattered in diamonds (well, chunks of icebergs glittering along the sand, which is black by the way) to enormous waterfalls of epic proportions, this route is not one to be missed. The full route is approximately 820 miles, but it’s pretty easy to pick a shorter segment to do if you don’t have enough time to do the whole thing. How could we possibly miss this one off the list!? 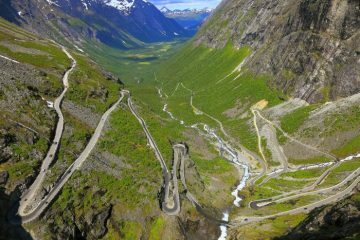 Trollstigen, also known as ‘The Trolls Ladder’, is part of the Norwegian National Road 63 and is one heck of an epic mountain road. 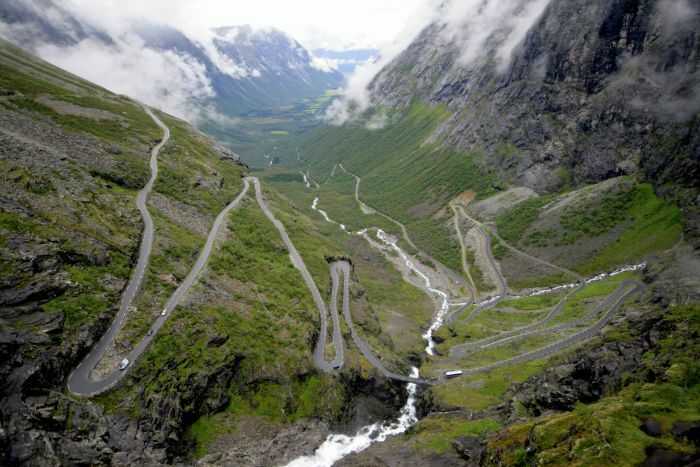 In fact, this 34-mile route is actually one of the most famous in Norway. If spine-tingling hairpin bends, breathtaking views and knee-tickling corners are your cup of tea, then you need to go and give this one a go. Entwined within the twists and turns of the road are stunning waterfalls that cascade down the edge of the mountain, and when you get to the top, you’ll be slapped in the face by truly spellbinding views. Seriously epic! This road is closed during the autumn and winter months due to the brutal weather conditions. The normal operating season starts from around May to October. Whether you’re out ‘n’ about in Scandinavia or the UK, you need to make sure you’re ready for whatever the weather can throw at you. 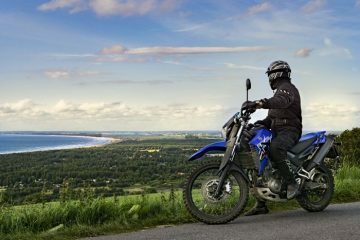 When it comes to being prepared, Jofama has an incredible range of motorcycle and lifestyle motorcycling clothing that’ll get you through the best and worst of the weather. Head over to their website to check out the full range by clicking here.